The Olubadan of Ibadanland, Oba Saliu Akanmu Adetunji, Aje Ogungunniso 1 has challenged Yorubas in diaspora to come back home and invest in agriculture so that the twin problems of poverty and unemployment could be addressed and reduced. 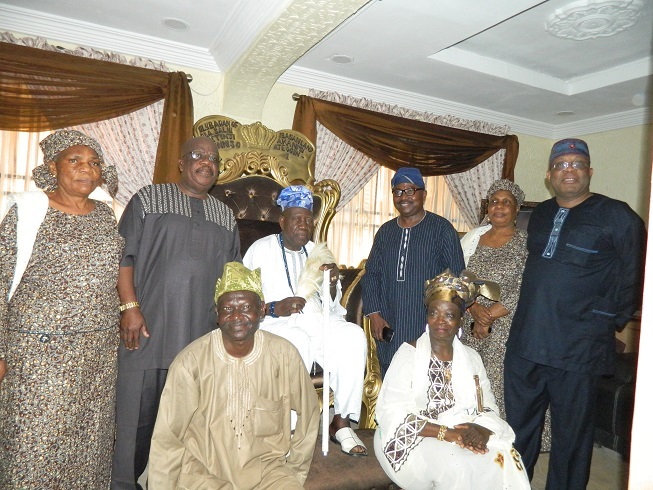 Oba Adetunji made this declaration during the weekend visit of the delegation of the Egbe Omo Yoruba in North America to his Popoyemoja palace. 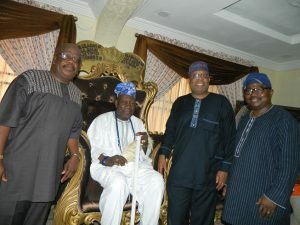 The Egbe delegation was led by its President, Agba-Akin Bolu Omodele. 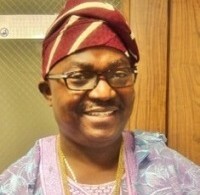 In a rapid letter signed by Agba Bolu Omodele, Agba Adeola Odusanya and Agba Akin Duro Akindutire, the Egbe immediately requested Kabiyesi to be present at the Yoruba World Summit as traditional chief host and also requested that the Egbe be pointed in the direction of individuals and corporate organizations that can support the Summit through sponsorship. The Egbe also asked for traditional drummers as well two internationally recognized musicians to entertain at the Summit.